The amazing hunting technique of the humpback whale. This giant marine mammal catches fish using bubbles. Humpback whales use intricate songs to communicate. Each song is unique to an individual humpback and is carefully rehearsed. Humpback whales employ a unique and highly intelligent hunting method known as bubble net fishing. Bubble net fishing involves creating a barrier of bubbles around shoals of fish. 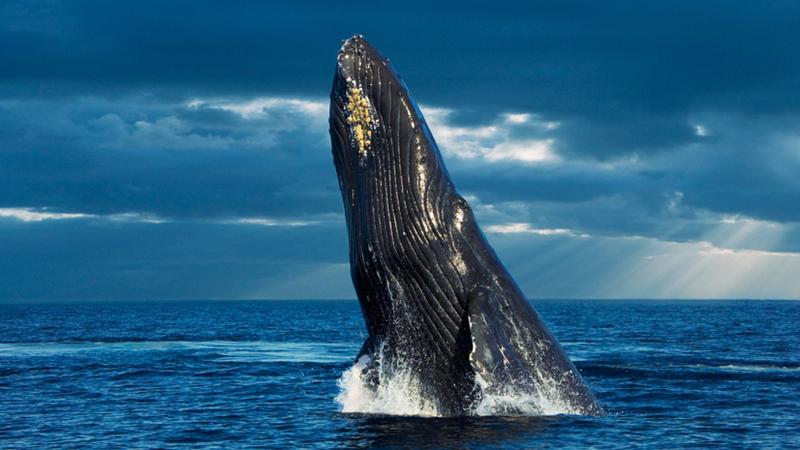 Humpback whales sing intricate songs in order to communicate. Each song is distinct to an individual, and is carefully rehearsed. Humpback whales also employ a unique hunting method, called bubble net fishing, which requires up to a dozen whales to work together.